For those not convinced of the benefits of demonetisation, Yogi Adityanath, the Chief Minister of Uttar Pradesh, has this pointer: it was good enough for Lord Krishna. Yesterday, speaking at an official event in Lucknow, the saffron robe-wearing monk said, "When Sudama met Lord Krishna, he was not given money. When this sort of transaction could take place 5,000 years ago, why not today?" he asked. In Hindu mythology, Sudama goes to meet Lord Krishna, his childhood friend, because he needs help. He carries a handful of rice as an offering because he can't afford any gifts. Lord Krishna recognizes the humility and devotion of his friend, who fails to ask him for assistance. When Sudama returns home, his cottage stands transformed into a mansion filled with luxuries and valuables. In November, Prime Minister Narendra Modi abruptly banned 500- and 1,000-rupee notes and declared them illegal at a few hours' notice. He said the move would help diminish black money, corruption, tax evasion and terror financing. Critics say that the move punished the poor, not the rich corrupt, but a series of elections including in Uttar Pradesh proved that demonetization had not turned people against the PM, as alleged by the opposition. The BJP won Uttar Pradesh with the strongest result for a party in three decades after a campaign that was pitched entirely around Mr Modi. 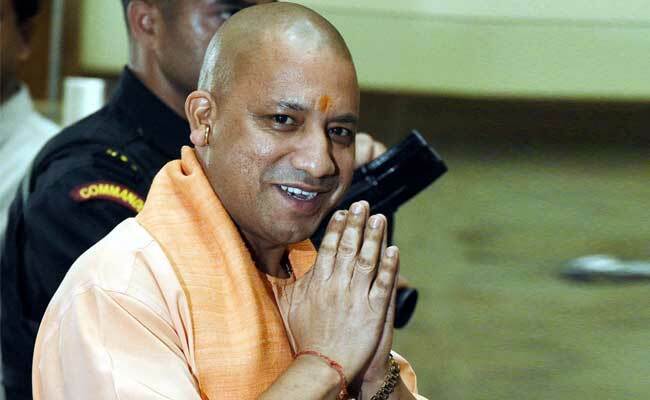 Yogi Adityanath, the 44-year-old leader of the new government in India's most populous state, said that going cashless will help knock out corruption.